Christmas Movies To Watch On Days Off Part 2 – It’s officially the holiday season and we can finally start blasting our favorite holiday tunes, drinking hot cocoa every night, and dressing head to toe in green and red colors! 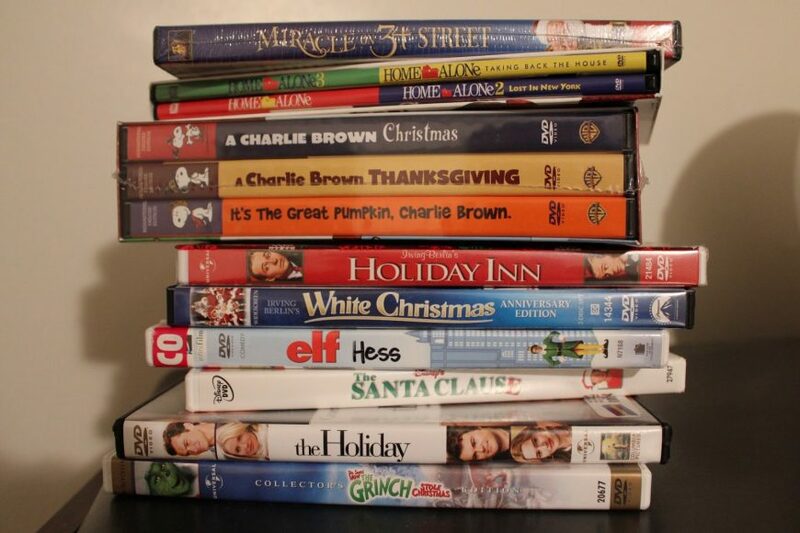 There’s no shame in sharing your holiday spirit with the world and what better way to fully embrace that holiday spirit than planning a huge Christmas movie night! Grab all the coziest blankets in your house, light up the fireplace, grab your candy canes and gingerbread cookies and hunker down for an evening full of our favorite holiday classics. Here are Top 5 Movies that will help you enjoy holiday season with friends and family. A perennial fave that addresses the material and spiritual aspects of the holiday season, A Charlie Brown Christmas offers families a break from the buy!buy!buy! 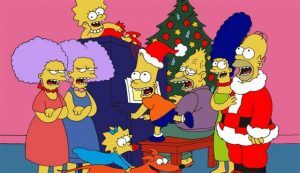 clamor surrounding Christmas. 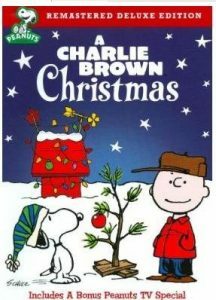 The storyline follows the ups and downs of Charlie Brown, initially depressed by the commercialism of Christmas, but ultimately buoyed by directing the school pageant, a pep talk from Linus and the strength of a sad little fir tree. Kids and parents alike will enjoy bopping along the Vince Guaraldi’s iconic musical score. Run time: 30 min. Not rated. Recommended for ages 3 and up. 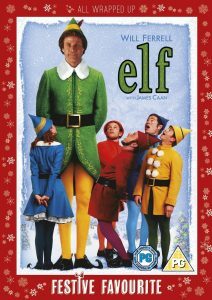 The story of Buddy (Will Ferrell), a human raised among elves, who journeys to New York City to find his true identity and his biological father (who is on Santa’s naughty list) after learning he’s not actually an over-sized elf. Kids will delight in Buddy’s naivete and the silliness that comes when he explores human culture. 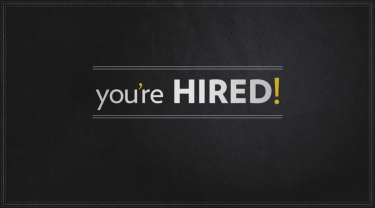 Top-notch cast also includes James Caan, Bob Newhart, Ed Asner, Mary Steenburgen, and Zooey Deschanel. Run time: 97 minutes. Rated: PG. Recommended for ages 7 and up. This beloved classic (offered in black and white and color in this set) is still popular more 60 years after its release. 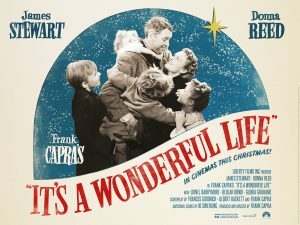 The movie, directed by Frank Capra, stars Jimmy Stewart as a frustrated businessman, George Bailey, who has been tied to the town of Bedford Falls for years, instead of living the life of travel and adventure he dreams of. 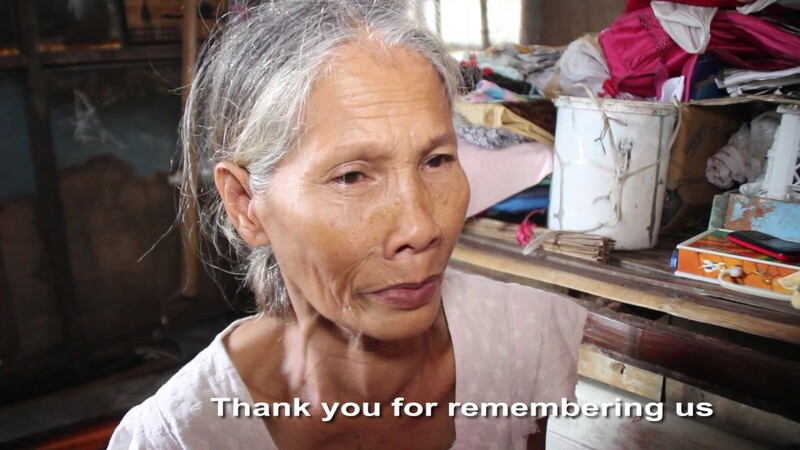 When events take a turn for the worse, George considers ending his life, but his guardian angel, Clarence, steps in to show him what life would be life without him and all of his good deeds. Run time: 130 minutes. Not rated. Recommended for ages 9 and up. Run time: 92 minutes. Not rated. Recommended for ages 12 and up. 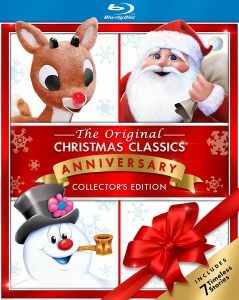 This is a whopper of a collection, including seven holiday faves like the classic stop-motion animated Rudolph the Red-Nosed Reindeer (narrated by Burl Ives as Sam the Snowman), Mr. Magoo’s Christmas Special, Frosty the Snowman(narrated by Jimmy Durante), Frosty Returns, Santa Claus Is Comin’ to Town, The Little Drummer Boy and Cricket on the Hearth. As kids, we used to wait all year for these to be shown on television, but now your family can enjoy them whenever they wish. Run time: 275 minutes. 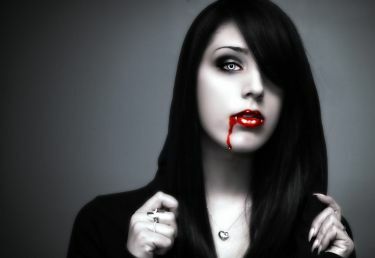 Not rated. Recommended for ages 3 and up.